(9 a.m. BST) -- MSC Cruises is set to enter a higher level of luxury cruising with an unprecedented order for four new-generation, "ultra luxury" ships. 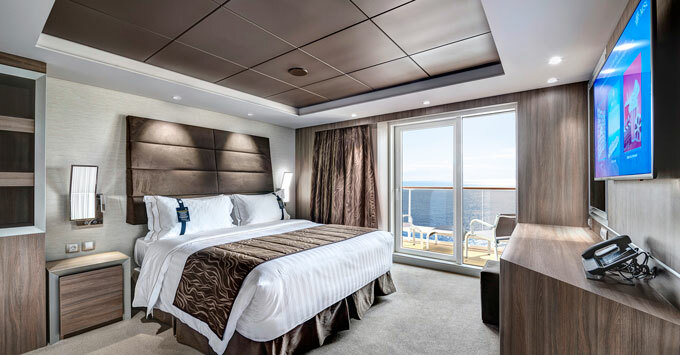 Each ship will have 500 cabins and a gross tonnage of approximately 64,000 GRT -- significantly smaller than the line's forthcoming launches, MSC Bellissima, which has a capacity for 4,300 passengers, and MSC Grandiosa, which has a capacity for almost 6,300 passengers. The first vessel will be delivered in Spring 2023, with the remaining three to come into service over the following three years. The ships will feature the latest environmental technology as well as other "cutting-edge maritime solutions" and a "highly-innovative design", according to the line. MSC and Fincantieri announced the signing of a memorandum of agreement (MOA) for the construction of the four newbuilds with a total value in excess of EUR 2 billion. Pierfrancesco Vago, MSC Cruises' Executive Chairman, said: "It is off the back of the great success of our ship-within-a-ship luxury concept that our guests asked us to enter into the ultra-luxury segment, as a natural evolution of the MSC Yacht Club. "These ships will be able to offer unique itineraries, thanks to their size, and the guest services will be taken to another level, including our personalised MSC Yacht Club butler service, available 24/7." Vago said the new class "will establish a new standard of ultra-luxury at sea with ships that will showcase the quality and highest standards that are associated with 'Made in Italy'." This latest order means MSC Cruises is set to build 17 new ships by 2027.